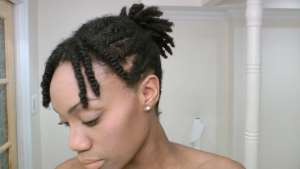 This is one of my favorite styles that I keep my natural hair in for moisture retention, protection and growth. 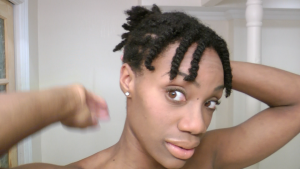 The reason why this hairstyle is so good for my natural hair is because the twists keep my hair moisturized. 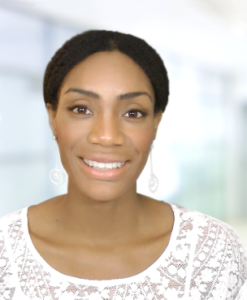 The high ponytail keeps the twists close to my scalp, which contributes to moisture retention as well as easy access for the natural oils to get to a large amount of my hair. It is also quick, easy and cute. This style helps me to maintain hair growth and length because the hair is far away from my shoulders and neck, which makes it more difficult for me to play in and potentially damage. Do not pull tightly on the front, edges or back. That is why I left out the bangs. 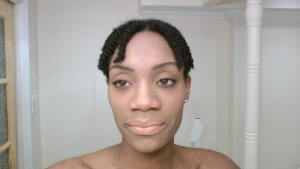 They are “long enough” to stretch into the ponytail, but I do not want to put any strain or stress At All on the front, hair line of my head. This hairstyle is versatile and it can be styled with accessories or even “natural hair twist braids” to make the bun look more full. You Got It! Check Your Email.